Iron is a mineral that is necessary for our bodies to function properly. Most of the iron in our body is found in the blood as haemoglobin, which is a protein used to carry oxygen to the body’s tissues. There are broadly two types of iron: heme and nonheme iron. Heme iron is derived from the breakdown of haemoglobin and is only found in animal products. Plant-based iron is referred to as non-heme iron. Iron deficiency is one of the most common disorders among adults and kids. It is often found in women before they hit menopause. 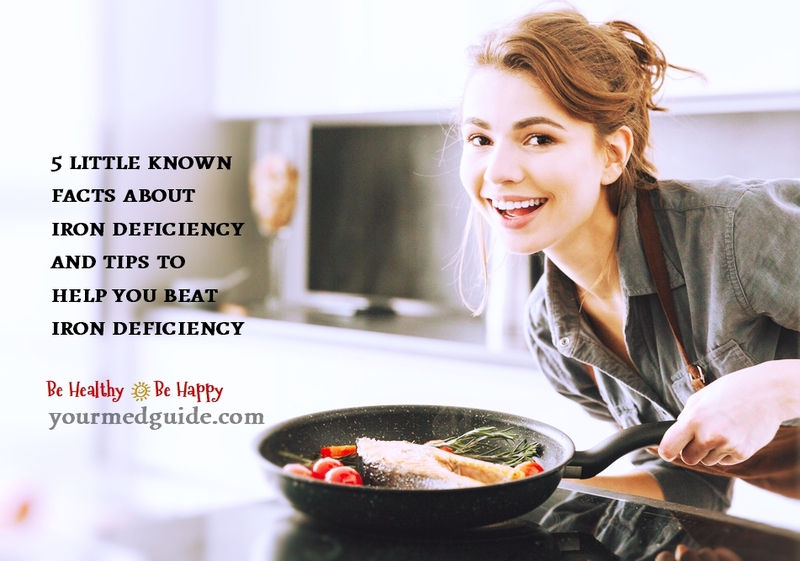 Iron deficiency is a result of your body’s inability to absorb enough iron or excessive blood loss. It is caused when a person’s diet does not contain enough iron or the iron stores from the body are all used up and the haemoglobin count gradually drops. This condition is known as Anemia. The symptoms of iron deficiency are fatigue, a swollen tongue, suppressed the immune system, decreased mental functioning, impaired social development in children, and body temperature regulation impairments. These symptoms are tough to spot initially but get worse in time with severe fatigue and weakness. Anemia is a condition where a person doesn’t have enough healthy RBCs to carry oxygen to the tissues. And there are several different types of anaemia like vitamin deficiency anaemia, Aplastic anaemia, hemolytic anaemia, sickle cell anaemia and so on. But iron deficiency anaemia is the most common one observed worldwide. Babies are born with iron reserves in their body but children need a steady amount of additional iron to fuel their growth and development. Untreated iron deficiency in children is linked to poor cognitive skills and lack of growth spurts. Pica is an eating disorder in which people tend to eat unusual things like dirt, paper and chalk because they crave certain textures in their mouth. This is usually seen in children with iron deficiency but it can affect adults too. Coffee, tea, cola, chocolate, dairy products and soy are a few foods that can deter your body’s ability to absorb iron. So next time your child is having spinach, don’t give them milk or a coke to wash it down. Iron deficiency is commonly seen in repeat donors (Men who donate blood 3 times or more annually and women who donate blood 2 times or more). They are five times more likely to have lesser iron stores than first-time donors. How to beat Iron deficiency? Having a well-balanced diet can help you beat iron deficiency. Consume foods which are high in iron so that your body can absorb enough. Vitamin C helps your bodies ability to absorb iron. A few iron-rich power foods are red meat, fruits and vegetables, green leafy vegetables, poultry, seafood, tofu, and dry fruits. It is, of course, difficult to make sure you include these foods in your diet every day. And your child will probably say ‘NO’ to half of the above-mentioned things without a second thought. That is where Tropicana essentials range come in place. Tropicana essentials Fruit and veggies and Tropicana Essentials IRON juices are not only tasty, they are free of preservatives, added colour and added sugar. Being rich in iron, vitamin A and vitamin C, just one serving of Tropicana essentials IRON juice provides you with 15 % of RDA which is equivalent to the amount of iron one would obtain from 100g of spinach or lettuce. The Tropicana essentials FRUIT and VEGGIES contain concentrated juices of apple, carrots, beetroots and added nutrients. In general, 5 servings of fruits and veggies are recommended in a day. But our average intake is only 3.5 servings which creates a nutritional gap that has to be served by the remaining 1.5 serving. But just one glass (200 ml) of Tropicana essentials FRUIT & VEGGIES juice is equivalent to 1 serving of the recommended fruits and veggies. Remember that these juices should not be a substitute for your everyday meals but rather an addition to your diet that will help you meet the nutritional requirements. Is it safe for people with diabetes to take antibiotics? #4 is huge Vidya. I am drinking more coffee these days. Big time diuretic and it does flush iron out of the system too so I double down on kale, spinach, nuts and other foods high in iron. Smart tips! Oh yes, Ryan! I used to be teased for being a coffee pot, but have cut down to 2 mugs a day now. Thanks to being diabetic, I am conscious about loading up on veggies and it helps that I love to cook! Thanks so much for coming by and sharing your insight. Iron deficiency is scary to deal with! Thank you for this info-rich post.